Update: Following the many on and off updates for the stunning Xiaomi Mi A1, the stable version of Android 8.1 Oreo is finally available for download. This comes with the latest July 2018 Android Security Patch. 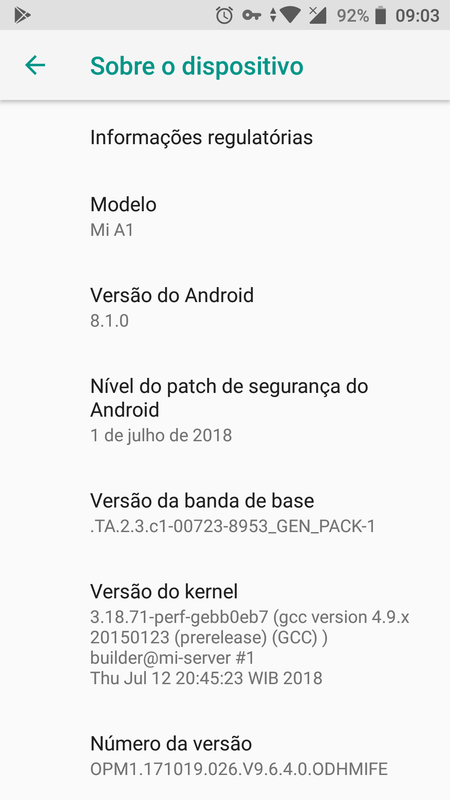 The OTA update will take your Mi A1 to firmware build number OPM1.171019.026.v9.6.4.0 codename ODHMIFE. This a huge update. So download and install the latest Android 8.1 Oreo update for Xiaomi Mi A1. Finally, after a lot of wait and suspense, the stable build of Android 8.1 Oreo for Xiaomi Mi A1 has started rolling out across the globe. The OTA weighs around 1.1 GB in size for users still stuck on 8.0 Oreo with firmware build number OPR1.170623.026.7.12.29. Howeevr, for users already on 8.1 Oreo are receiving an OTA of 467.3 MB in size. As usual Android Oreo packs its cool features like Picture-in-Picture mode, Autofill API, App shortcuts etc. Along with that, there is a new feature added to the device called Rapid Charging ( not fast charging !). This basically helps the device charge battery quickly while keeping the performance Oreo has been an influential operating system after its release According to the Xiaomi, this software update bringing Android Oreo is rolling in batches over-the-air(OTA). So, everyone will not receive it immediately. It might take some time to move into all regions. Xiaomi is also actively rolling out Mi A1 Open Beta update based on Android 8.1 Oreo. It comes with the latest and new features before it makes to the stable firmware. Here are some of the screenshots of the Mi A1 after getting the Android Oreo upgrade. Apart from this, you can also yourself perform the upgrade by downloading the OTA firmware zip file and flashing it. Unfortunately, we do not have the latest OTA updates as there are multiple versions for the same. Stay tuned as we will post the OTA links here as well. Note: Your device will automatically capture the OTA update zip and install it. You can manually check for the availability of the latest software by going to Settings> System updates > Tap Check for Updates. 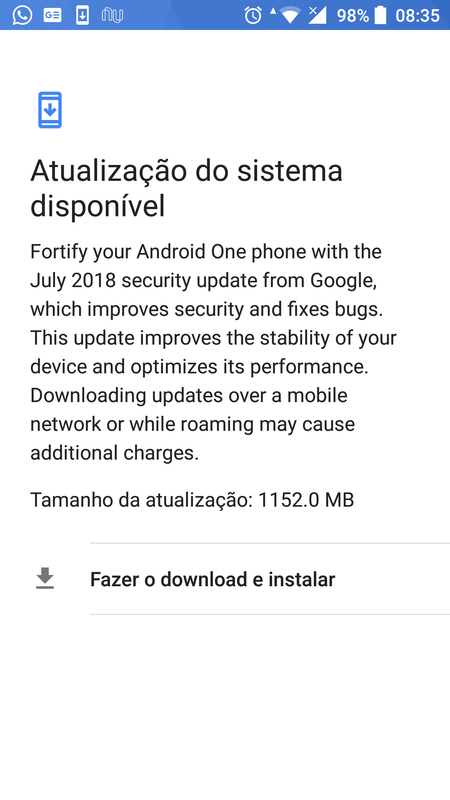 How to updateXiaomi Mi A1 to Android 8.1 Oreo stable July 2018 Patch? There are multiple ways to update Mi A1 to latest firmware update. Ensure your Xiaomi Mi A1 is rooted with Unlock Bootloader, and latest TWRP recovery installed. Download the TWRP Flashable ROM from above. Transfer the zip to your device’s storage. Reboot your Mi A1 phone into TWRP Recovery mode. You can perform a dirty flash if you are on the previous version of stock firmware. Meaning, without wiping anything. If you are coming from a custom ROM, then wipe system and data partitions or perform a Factory Reset. Go to Wipe > Advanced Wipe > and Wipe cache, Dalvik cache, system, and data. Swipe to confirm. Head home and tap on install option. Select the TWRP ROM zip file. Swipe to Install the ROM file. For this method, you can also use the Mi A1 ROM flasher. Make sure your PC has ADB and Fastboot environment setup for Mi A1. Download the Fastboot ROM from above. Transfer it to PC. Now, extract or unzip the Mi A1 fastboot ROM zip. Now, reboot your Mi A1 into Fastboot Mode. To do so, turn off your device completely and then press and hold Vol down (or up) & Power buttons at the same time. Now, connect Android device to PC via USB cable. Execute or run the file called flash-all.bat or similar batch file Rom-Flasher.bat. For Linux or Mac OS, its will be flash-all.sh. Detailed tutorial: Flash The Latest Android Oreo OTA on Xiaomi Mi A1.